One of the first programs of its kind on our planet, the U.S. government has offered a grant to relocate an entire Louisiana isle community literally sinking beneath the rising waters of climate change. The mildewed and rusted infrastructures are the lingering heritage of a forgotten people and the portent of having to leave it behind has split them: Some in despair and others calcified to the imminent demise. The isle has birthed the first of our world’s climate refugees, a microcosm of what the world faces in decades to come. An estimated 50-200 million people could be displaced within about 30 years due to climate change, according to the United Nations University Institute for Environment and Human Security and the International Organization for Migration. Recent data proves climate change is devastating mental health, causing depression and post-traumatic stress disorder (PTSD). Now that depression is the second leading cause of disability around the world, it would seem awareness about global warming and its bent on personal health is as necessary as sunblock. Abrupt fluctuations in barometric pressure cause immobilizing migraines and sinus pressure headaches in innumerable people. Dust storms in other areas, which historically didn’t have the phenomenon, overwhelm others with respiratory impediments and extreme hay fever. It’s hard to romantically date, focus on academic studies or enjoy the glorious green earth when snot is pouring out of your nose and you can’t see for swollen, itchy, red eyes. It’s literally depressing and shaving years off increasingly more lives. According to the Centers for Disease Control and Prevention, climate change is set to cause hundreds to thousands of premature deaths, hospitalizations and cases of acute respiratory diseases annually, within the next 15 years. Like the frog that doesn’t notice the rising temperature until it boils to death, most citizens remain unaware that rising levels of carbon dioxide in the atmosphere are lowering the nutritional value of the majority of food crops, gradually destroying life-sustaining nutrients and fostering insects such as Lyme disease-carrying ticks and West Nile-toting mosquitoes. Such dangers have pushed many into anxiety issues; especially with hot-weather threats such as the Zika virus spreading like the dawn light over a plain. The National Institutes of Health report links between rising heat temperatures and interpersonal aggression, violence and suicide. The NIH detail heat waves – as experienced increasingly with global warming – have associations with increased rates of admissions for mood and anxiety spectrum disorders and dementia. Additionally, a study from Thailand explains outdoor occupations lend to heat stress. Landscapers, crop reapers, amusement park operators, lifeguards or those who work with animals and others can face physical and psychological exhaustion working under the volatile elements. Farming has been many a family’s business for generations. Cultivating from seed to store is all they’ve ever known, and their family will live and die by the fruit of their labor. But global warming has hit too close to home, scorching their land and crops. The traumatic stress is leaving many with a host of mental problems. He and other local farmers started an accountability group “Are You Okay?” featuring buttons to wear to remind each to check in with neighbors during tough times. The National Institutes of Health explains the mental health spiral of farmers with global warming impact. Crop failures from unanticipated droughts have been associated with suicide attempts in farmers in three progressively worse situations. When precipitation is scarce and regional water reserves low, like here in California, the farmer might not be able to maintain the budget of the family and may fall prey to debt traps to meet expenses. Drought or flooded crops may lead to hikes in food costs regionally. Inability to buy quality food staples lead to malnutrition and risk of other infections, especially in developing countries. NIH explains prolonged droughts cause some to migrate elsewhere and/or pursue another vocation, spurring acculturation distress and suicide ideation in the farmer population. Psychiatric epidemiologist Helen Berry of the University of Canberra has researched and published more than two dozen papers and book chapters on mental barometers as they relate to global warming. Farmers she interviewed have demonstrated a deeply embedded reticence to get mental health support. Industry authorities observe when people take personal steps to restore the environment, it energizes and abates mental health issues. Several Aboriginal agricultural groups in Australia, conduct local resource management, including burning off brush that fuels wildfires. Mental health expert Joy Osofsky is a professor of pediatrics, psychiatry and public health at Louisiana State University. 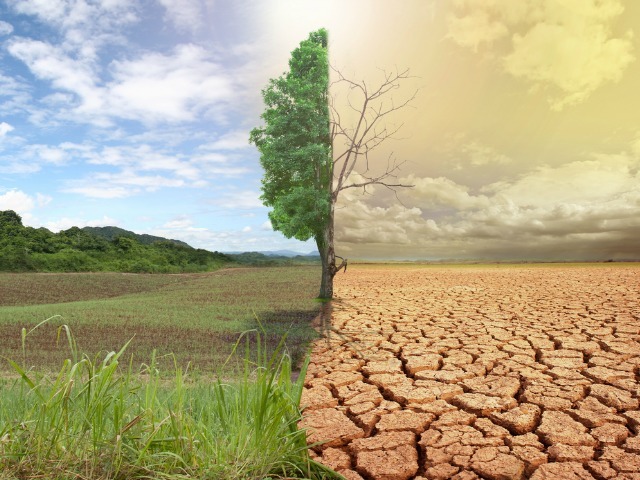 “With global temperatures already on the rise, and further warming virtually certain, climate change is having impacts around the globe.” She encourages families and groups to outline coping measures to deal with disastrous global warming weather events. “We found that for children and families who have prepared, the anxiety is less. I think we have to anticipate there will be unusual events. This kind of preparedness is important to reducing the stress,” she informs. While the U.S. government rallies support to implement worldwide efforts to combat global warming, such as the Paris climate agreement and the contested Clean Power Plan, individuals can take proactive measures to support mental health in these volatile times as well. The Sovereign Health Group is a nationwide leader in mental health rehabilitation, offering holistic treatment for eating disorders, substance abuse and dual diagnosis of mental health and addiction. We keep readers abreast on the latest in clinical breakthroughs, emerging modalities for recovery and relatable tips for wellness. Call our 24/7 helpline for details.